Use with ClearH2O HydroDrop for medication and pro-biotic delivery. EASY TO USE! 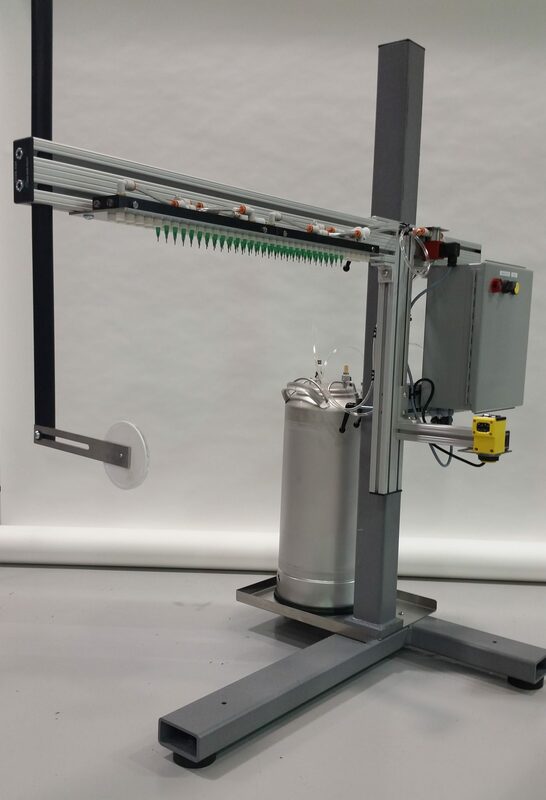 Runs automatically – Optic detects tote and sprays fluid as tote passes under applicator. Tool-less quick disconnect spray head – remove in seconds for cleaning. Adjusts for any conveyor height using available Floor Stands.